Our toilet cubicle support legs are an ideal solution for those seeking cubicle legs for 13mm board, featuring a small collar to enable fitting to thinner boards and a shim attached to the screw for additional security. 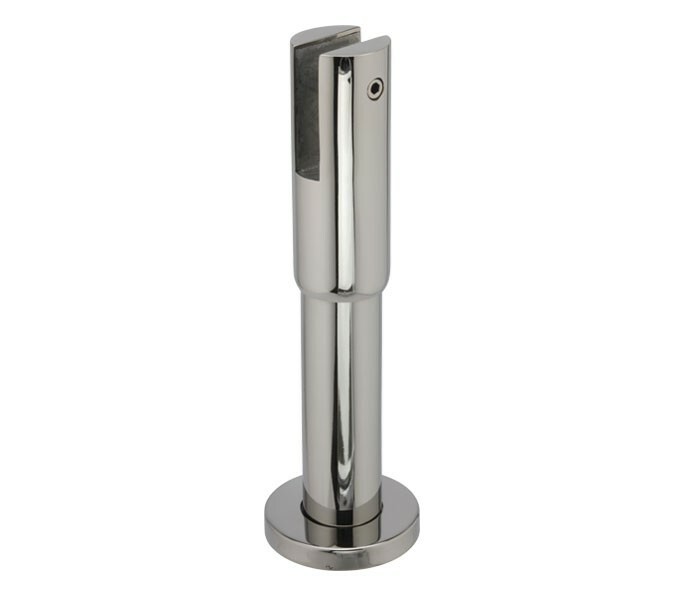 This versatile product offers adjustable legs which can be positioned from 150mm to 180mm in height as required and is manufactured from grade 304 polished stainless steel with an aluminium tapped insert and inner rose on the base. Our toilet cubicle support legs are supplied singly with the wood screws and plastic plugs required for fitting. This product also showcases a concealed fit base for a streamline finish, offering an easy clean and anti-vandalism functionality.